Stu­dents par­tic­i­pate in all aspects of field research, includ­ing logis­ti­cal prepa­ra­tions and the cap­tur­ing, han­dling, and sam­pling of birds. Fre­quently, stu­dents are required to develop and imple­ment their own small research project, which includes lit­er­a­ture reviews, pro­posal devel­op­ment, data col­lec­tion, data analy­sis, and write-up and pre­sen­ta­tion of results. The High Arc­tic Insti­tute coop­er­ates with Dr. Jen­nifer Burn­ham at Augus­tana Col­lege in Rock Island, IL, to iden­tify suit­able stu­dents for our pro­gram. Fre­quently projects done by stu­dents in Green­land can be incor­po­rated into Senior Research Projects at Augus­tana. By pro­vid­ing this oppor­tu­nity we hope to fos­ter student’s inter­est in the con­ser­va­tion and research of Arc­tic species and train the sci­en­tists of tomorrow. 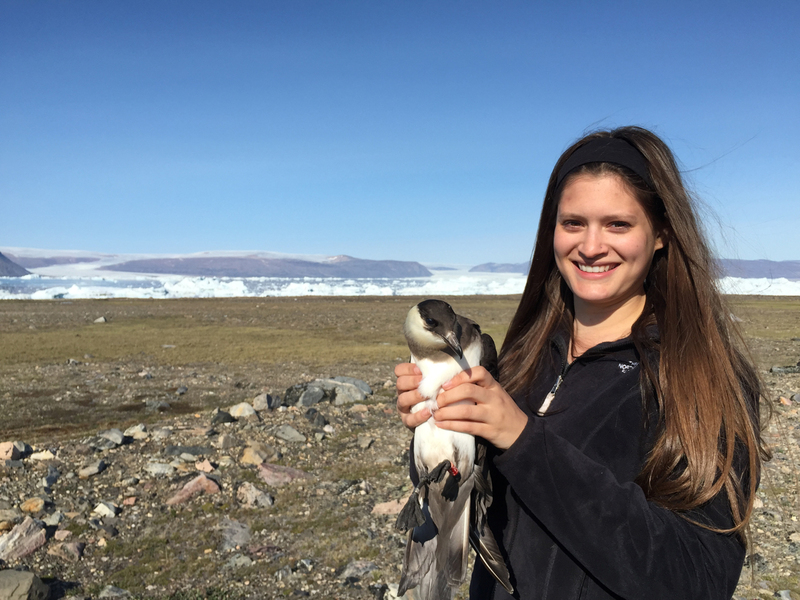 2016: Zoe Robb helped us to process our Atlantic Puf­fin geolo­ca­tor data by using GIS to ana­lyze pat­terns and tim­ing of move­ment of a small pop­u­la­tion of birds nest­ing on Dal­rym­ple Island. Cur­rent Augus­tana Col­lege stu­dent Sara Baugh with an adult Par­a­sitic Jae­gar in sum­mer 2015. 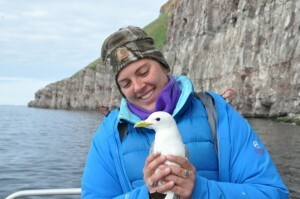 Augus­tana Col­lege grad­u­ate Claire Behnke (Dr. Behnke as of late 2016) with a Black-legged Kittiwake. 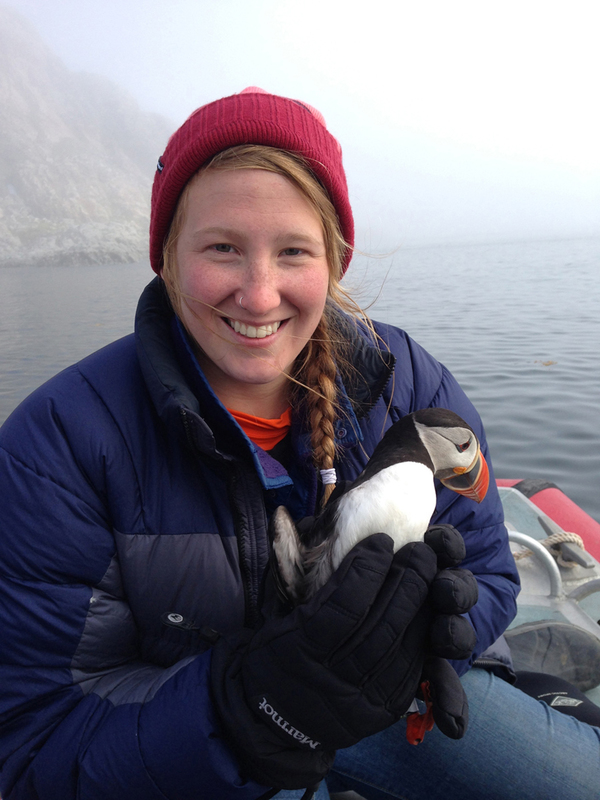 Fal­lon Meyer with an adult Atlantic Puf­fin dur­ing the 2014 field season. 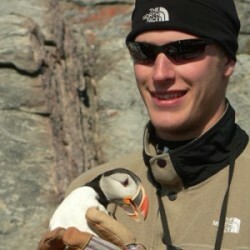 For­mer Augus­tana Col­lege stu­dent Jeremy Hughes with an adult Atlantic Puf­fin in north­west Greenland. 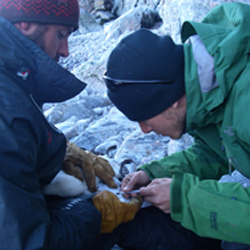 Augus­tana Col­lege grad­u­ate, Ryan Biester­feld, col­lect­ing a blood sam­ple from an adult Thick-billed Murre.